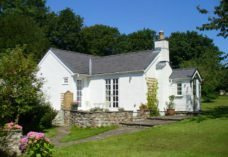 Middleton Hall is a character filled farmhouse in the heart of Middleton, it has off street parking and is only a short walk from three stunning local beaches and the house’s rural setting means that it is a peaceful place to come and unwind. 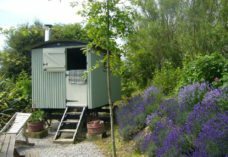 You come into the traditional farmhouse kitchen equipped with a dining table and chairs, an electric cooker, dishwasher, washing machine, fridge freezer as well as a traditional aga. There is also a downstairs wash room. Through from the kitchen there is a spacious hallway, you will find a grandfather clock as well as a working piano. The living room has a log burning stove that when lit creates a nice cosy feeling and with two sofas and an armchair there is plenty of room to watch TV with Sky or to watch a movie on the DVD player, you will also find a selection of DVDs, board games and books to be used by the whole family. Upstairs there are three bedrooms. The master bedroom has a king sized bed, two bedside cabinets and a chest of drawers. 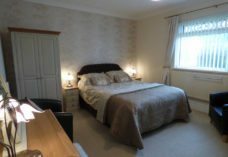 There is also a put up bed in the room that is cleverly disguised as a chest of drawers, the master bedroom also has an en suite bathroom with a power shower. The twin room has two single beds, a bedside cabinet, a chest of drawers and a built in wardrobe. The double room has a double bed, a bedside cabinet, a chest of drawers and a wardrobe. The family bathroom has a full size bath with a hand held shower head, a wash basin and a toilet. All bed linen and towels are provided. Outside there is a private south facing patio and a garden with a large table and 8 chairs, perfect for relaxing in the summer and having a BBQ, the BBQis provided. Just behind the cottage there is a communal play area equipped with a swing set, a slide and an enclosed trampoline perfect for the little ones to enjoy. next to the play area we have some chickens that are fenced off and we are more than happy if the little ones want to feed them the odd crust of bread! There is a local shop about 3 miles away that sells most groceries and some local produce. Within the village there is a pub, a cafe and a bistro only a short walk away. so friendly in south Wales. glorious beaches and walks. Everything anyone could need. Had a lovely week at Middleton Hall, perfect for kids and dogs! Hope to return soon. Lovely few days in a fantastic location, very well situated to allow access to all areas. Such a lovely place, loved exploring the wonderful beaches ant the great cliff walks. Have special requirements? Call Liz Beynon on 01792 391319 or 01792 390662.